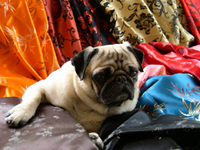 Designer Dog Clothing: Luxury Chinese Japapnese satin silk brocade dog jackets coats. 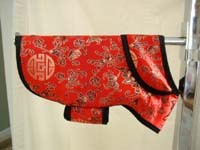 Silk Satin Asian Style dog clothes in a beautiful palette: Turquoise, Red, Orange, Navy Blue and Dark Brown. PINK IS NO LONGER AVAILABLE. 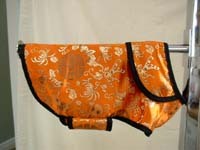 THE BAMBOO PRINT IS THE ONLY ONE AVAILABLE FOR ALL SILK COLORS - SHOWN ON THE ORANGE COAT IN THE CENTER. 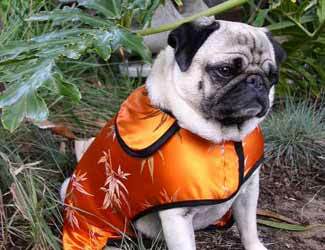 These gorgeous lightweight jackets are not lined. They have black piping around the edges. Perfect for that summer tea party or formal gathering! 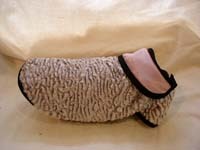 Decadent Silk Satin Dog Jacket, single layer unlined lightweight dressy casual to formal dog coats or jackets. Velcro adjustments at chest and girth. THESE COATS ARE NOT CUSTOM ORDERS. 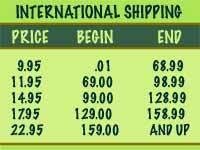 Give other measurements on last line of order form. C = Girth or Chest circumference, measured just behind legs. Need a custom size or help ordering? 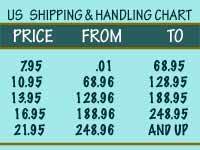 If you receive an item that is defective or damaged, please call us within 5 business days and we will be happy to correct the problem. ANIMALSTARS LUXURY PET STORE designer dog cat collars, ID TAGS.